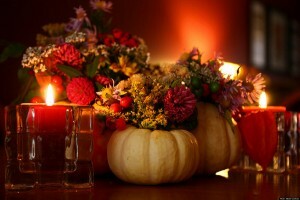 Come and celebrate a Door County Thanksgiving at High Point Inn, a Door County Wisconsin lodging favorite. We’ll help you celebrate Thanksgiving with your family with this lodging special package. Join us for two nights in a 1, 2 or 3 bedroom suite with your own whirlpool tub and fireplace along with a fully equipped kitchen. You’ll also receive the following gifts upon arrival. Take the stress out of your holiday season by bringing the family to Door County. There are plenty of shops still open for doing some “Black Friday” shopping where you’ll find unique gifts for everyone on your list. Then of course there are all the football games for those who are the die-hard sports fans. Spend the day with us watching the games or head on over to several of the fun sports bars in the area like Husby’s Food and Spirits in Sister Bay or Mink River Basin in Ellison Bay. With an indoor pool and hot tub, staying at our Door County resort will become your new Thanksgiving tradition. To learn more about our special vacation packages to Door County visit our website here. If you have more questions regarding this particular package, give us a call at 1.800.595.6894.